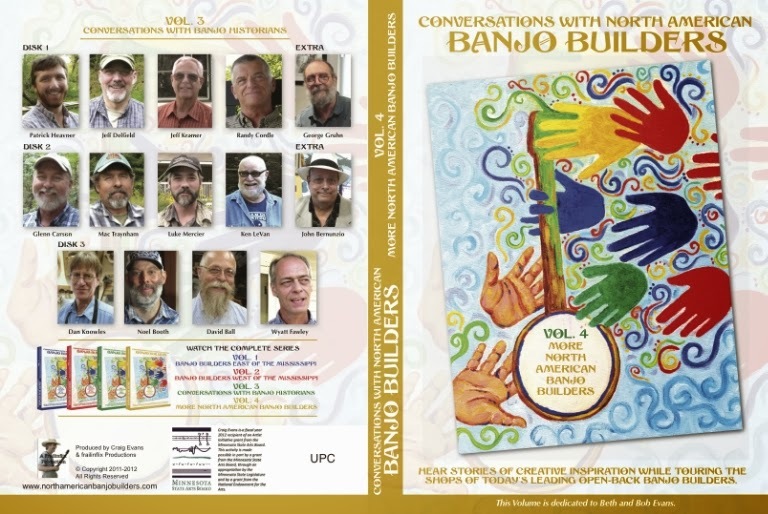 I am proud (and humbled) to have been asked by Craig Evans to take part in the "Conversations with North American Banjo Builders" DVD series. 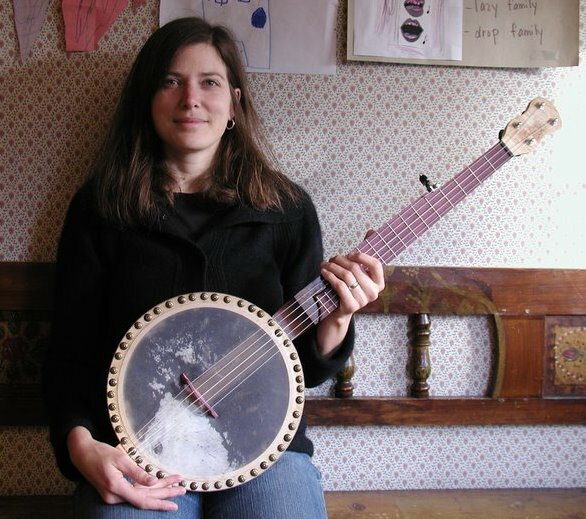 So many of my favorite banjo builders have taken part in this series. Still sort of pinching myself that Craig invited me to partake. My "preview video" can be seen here, or you can order the complete DVD set here. 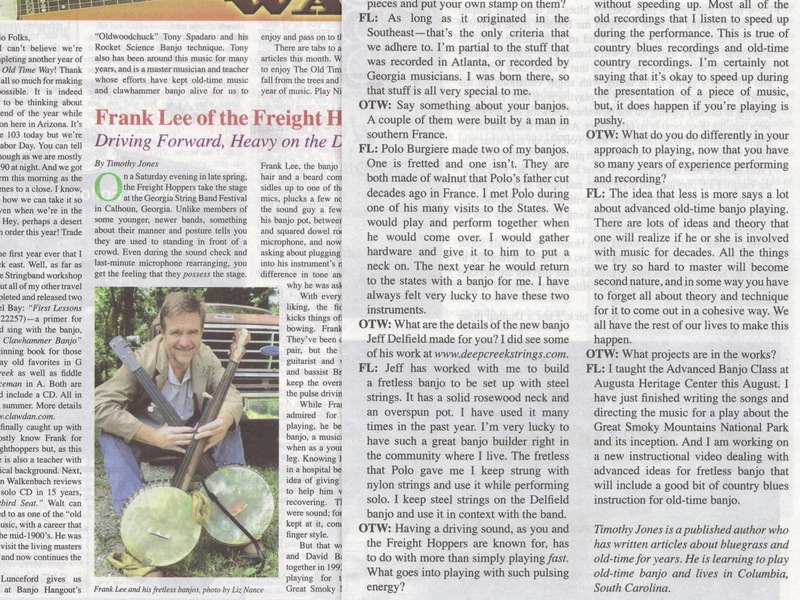 Well, it may not be the cover of Rolling Stone and it may not even be me on the cover, but the banjo I built Frank Lee is on the cover of the October '12 Banjo Newsletter, in which Frank is interviewed. 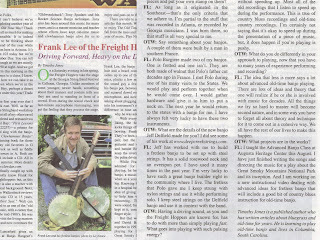 In the article, the interviewer asks Frank about the banjo - his answer is below. The May '12 issue of WNC Magazine featured handcrafted instruments from the region in its Life Style section. 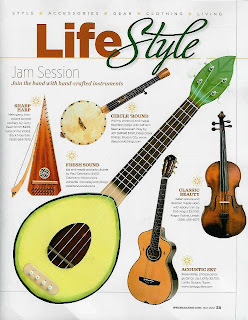 One of my banjos was included in the article. The April 2011 issue of Banjo Newsletter includes Frank Lee's tab to the Freighthoppers tune "Hound Chase." To accompany the tab, Frank and I created this video in my basement workshop. 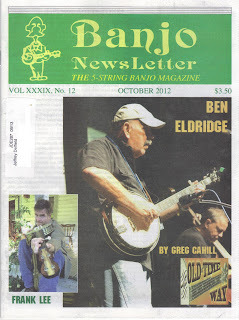 Banjo Newsletter web page has included the link to the video. I was interviewed by Bradley Kramer at The Glory-Beaming Banjo. Click here to see his spotlight on Deep Creek Strings. I was honored when the folks at Postcards from the Smokies stopped by the shop to take a few photos and ask a few questions. Here's their spotlight on Deep Creek Strings. What a wonderful surprise to find this entry at the J-Walk blog (which I subscribe to).